Activist Performance: Gestural Notes is a blog which offers the idea of ‘gesture’ as an open-ended stimulus for contributors, theorising and documenting theatre and performance as an activist aesthetic. Ashoka’s Citizen Media Project is a citizen media initiative giving voice to historically marginalized populations and empowering citizens to participate powerfully in society. Citizen Media Collective is an autonomous group of writers, photographers, independent journalists, film makers, internet users, social media experts and others, collectively identifying as citizen media, in Melbourne, Australia. Digital Media Law Project (formerly Citizen Media Law Project) is an initiative that works to ensure that individuals and organizations involved in online journalism and digital media have access to resources. Global Uprisings is an independent news site and video series dedicated to showing responses to the economic crisis from around the world through short films and articles that detail social movements in a wide range of countries. Hacker Space Palestine is a technological, technical and informational community based on sharing culture and open-source information where talented engineers and technicians meet to develop and realize their ideas. Janakaraliya – Makkal Kalari – Theatre of the People is a mobile cultural organisation that uses a collapsible theatre and travels through districts with its theatre group. Mataroa Research Network is named after the ship that in December 1945 took a number of young radical thinkers, artists and other professionals from Piraeus to France via Italy, and thus effectively saved them from the perils of the rampaging Greek Civil War (1945-48). 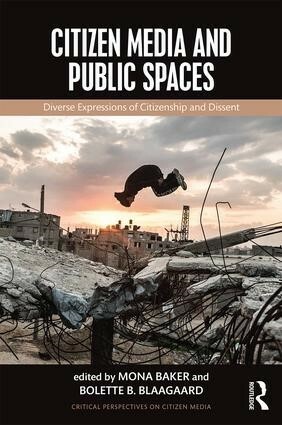 The initiative takes up the name as a sign of recognition of the complex trajectories of civil war, exile, resistance, the role of intellectuals in political struggles and in the imagination of a more just, free and egalitarian society. Media Legal Defence Initiative is a non-governmental organisation which helps journalists and independent media outlets around the world defend their rights. Meedan is a nonprofit social technology company. Meedan’s mission is to forward cross-cultural understanding and collaboration by providing people, partners and communities with advanced technologies to exchange ideas, information and knowledge across languages, focusing primarily on English and Arabic. Mosireen is a non-profit media collective in Downtown Cairo born out of the explosion of citizen media and cultural activism in Egypt during the revolution. Revolutionary Arab Rap is a blog exploring what Arabic hip hop can tell us about the current Arab uprisings and the changing relationship between Arab citizens and their governments. Social Media Exchange advocates for a free and open, diverse and dynamic Arab internet through training, organizing, and localizing media empowerment. Soliya is empowering young adults to establish more cooperative & compassionate relations between their societies by combining the power of dialogue with the reach of new media. 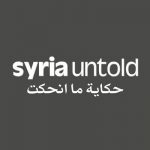 Syria Untold: Citizens in Revolution is a project funded by the European Union and Canal France International investigating the history of the Syrian uprising in six different cities: al-Salamiya, al-Qamishli, Deir Azzor, Banyas, Daraa, and al-Zabadani. Tactical Technology Collective is an international non-profit organisation that helps rights advocates use digital tools safely and effectively with films, toolkits and guides, and by organising training and events. TED is a nonprofit organisation devoted to Ideas Worth Spreading. TED conferences bring together the world’s most fascinating thinkers and doers from a variety of fields and disciplines. Translate for Justice is an independent platform of voluntary translators whose main objective is to raise awareness internationally on the issues of restriction of basic human rights and freedom. Viki is a global TV site powered by a volunteer community of avid fans subtitling and sharing videos from around the world. Walls of Freedom is a powerful portrayal of the Egyptian Revolution, telling the story with striking images of street art that turned Egypt’s walls into a visual testimony of bravery and resistance. Wayside and Open Theatre Group a non-profit organization taking theatre to the people. Women on Walls (WOW) is a radical street art collection which emerged from Egypt’s January 2013 revolution. It seeks to spark awareness of the struggles that Egypt’s female population endures.